Have you ever wonder, how bloggers go on about posting blog posts or what tool/software they use to actually put there content out there? You know, blogging basically start with that foremost tool and today's blog topic is exactly about this to give you insight on what are blogging platforms as well as review on Blogger.com. Bonus: insights and views of fellow bloggers for your help. 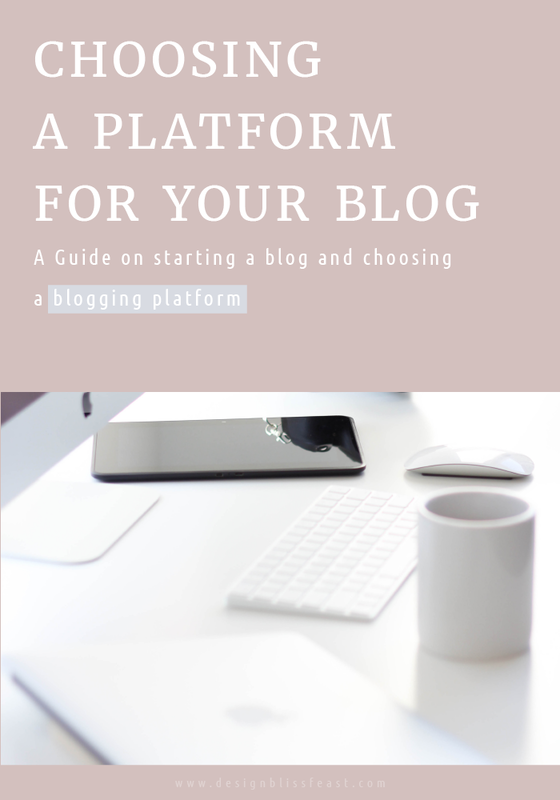 Lets start with the basic..
Basically, Blogging Platforms are the platforms that let you do your blogging by offering built-in Content Management Systems (CMS) which purpose is to make things smooth and easy for the writers to publish their thoughts with little to no coding skills. It help you to write, edit and manage blog posts, where you can also opt to write using text editors as well as HTML i.e, code it yourself. Simply put, blogging platform are so like the social medias where you're posting, interacting, whether personal or as a business, in a bigger way possible! Blogger is the best tool for individual starters as well as professionals. To clear this up, I'd say, the task of choosing a platform lies all under the needs and budget of the author himself. It'll sound more logical as we go.. There lies number of benefits in choosing Blogger as your Blogging Tool. As it is own by Google, you've got lots of advantages under your sleeves. You can handle all of your blogging stuffs under one account rather than login in into different accounts for different services. The fact I love is that Google got you all covered with its mailing, photo hosting, Analytics, Adsense, Google+, Hangout, Docs and many more other services that can be use in your day to day blogging/business needs. In my views blogging should be all about just typing your thoughts or ideas into something like a word doc. Shouldn't it? thoughts or ideas into something like a word doc. When I was on WordPress.com, (free) It took me two week to get fit with it and getting to know about what-is-where. And soon after I realize it is way too limited for me. I couldn't tweak codes, couldn't set-up custom domain etcetera without paying them. Simply it didn't fit the mold of my needs. And this was the first and the foremost reason that made me jump at Blogger and bamm!! I fell in love with it right away, with its simplicity, its features and the freedom that available here. 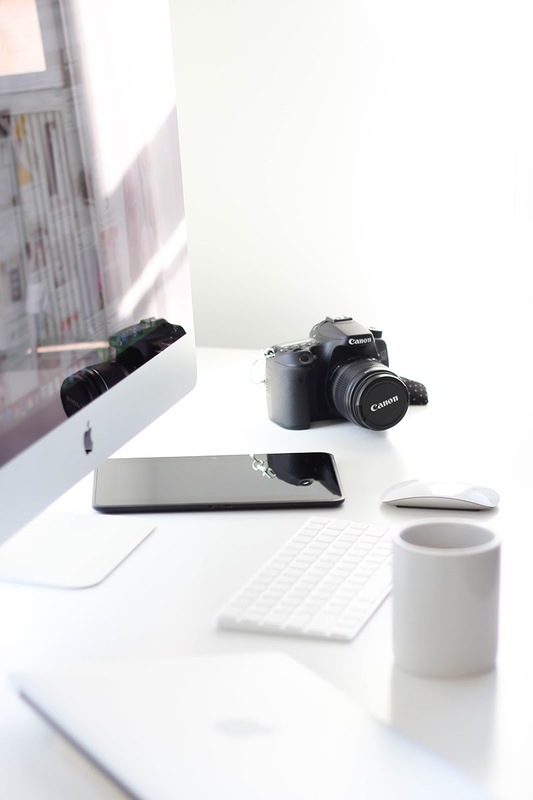 As its is no uncommon fact that Blogger host your blog for no cost at all and I guess nothing can be more awesome than having a free blog that let you do anything and everything. You agree? You don't have to pay monthly/yearly hosting services fee. Just buy your domain (which is totally optional but good for SEO) and of course, your custom domain can be set-up here with no fuss. AND START DOING WHAT THAT REALLY MATTERS TO YOU. This speaks volumes. There's also few things that make Blogger the boring and the bad one. First, their statistics, that always seem to be more than wrong. But Google Analytic can be use as your magic wand here. So, I guess this problem have been solved already. Second, the pre-made templates they have, which do no justice with the services they're giving us (which really really need to be updated) but if you know the little codding, you can do so much more with it on your own or even hire the designer to do it for you at affordable cost. There are number of people who keep telling me to go for WordPress and also I've seen lots of people moving to WordPress for JUST that they were in need of a good design. 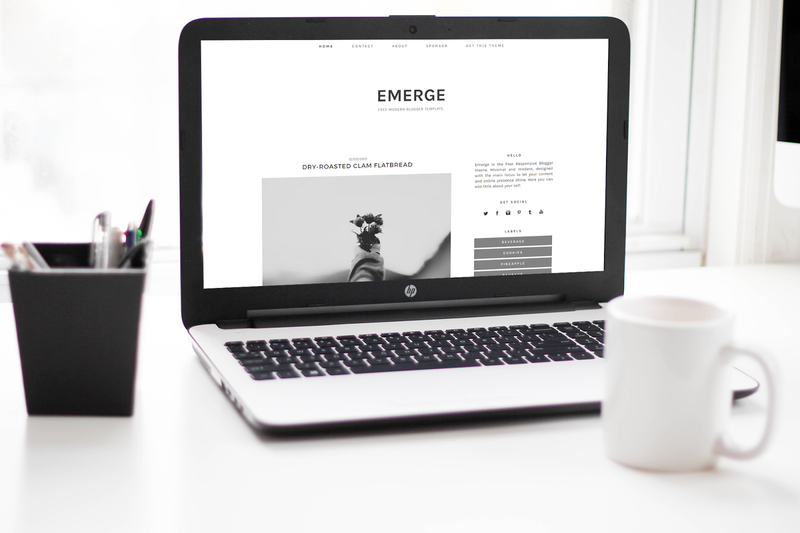 Tell you what, you can even make your Blogger blog look like WordPress or Squarespace. One only need a designer who understand your need. I believe every blogger had or having an experience with it, good or bad. So I asked few blogging folks to make this post more meaningful for the one who is struggling with choosing Blogger. And I hope, you might find it interesting and helpful to hear directly from the Blogger's users. So read their thought about what they found best and worst in Blogger? Why they're using it? Their personal views on it and all.. I am currently transitioning my blog from Blogger to Squarespace. I went with Blogger after receiving feedback on the less-than-great user experience my site had on Weebly, the platform I was using at the time. Best thing I've found in Blogger is the back end blog post managing system, which is very user-friendly. Also, because Blogger is partnered with Google, you get notifications when signed into Gmail. It keeps everything in one place. But monetization is very difficult on Blogger unless you sell a lot of ads or do sponsored posts. I’m looking to be an Info-preneur which is very difficult to scale on Blogger. In short Blogger is a great platform for bloggers who are just starting who don’t want to spend money on self-hosting and custom built sites. If you’re a hobby blogger who wants something simple and user-friendly, it does the trick. *edited (14 jan, 2015 ): Kayla have now moved to SquareSpace. It was the most talked out blogging platform when I first started blogging and heard so many great things about it. The best thing I would say is how user friendly it is and how easy it is to navigate when you’re new to the world of blogging. The Bad thing is that they don’t have a direct help center or contact service to let them know when you’re having issues/when Blogger has issues. But, I would say Blogger is by far the best. Blogger makes blogging easy and straightforward, it may have the odd minor glitch here and there but the support are really quick in fixing them so they are not apparent for long. I would say if you are thinking of starting a blog, definitely start with Blogger. *edited: Aftab have now moved to WordPress. I started using Blogger as my first ever proper blogging platform when I didn't know a thing about other blogging platforms. Never left it, it's been years and Blogger feels like home now. Blogger is very handy and easy when it comes to HTML. Easy to customize and doesn't really bother with changes. Sometimes the HTML code changes stop working and go back to old settings. This is very awful, but don't worry this happened just like 2 times with me. The most famous debate is Blogger VS Wordpress. I personally vote for Blogger because as I said it's easy to customize. You should go for Blogger if you're new in blogging, it's less complicated than Wordpress. Except for HTML going back to old settings twice, Blogger never did any harm. I love using Blogger. I first started using blogger.com because I didn't want to pour money into a blog, and the platform made more sense to me than the free version of WordPress did. I have worked with WordPress for other people, and while I like the platform, I don't like that I would need to buy widgets for various things. I have managed to learn some basic HTML and CSS and with that I have been able to do everything that I have needed to do without spending a penny. The best thing I have found in Blogger has been the ease of customization. Like I said, with some basic HTML and CSS knowledge you can pretty much get it to do everything WordPress would do. However, if you are thinking about running a larger blog, then having your own space through WordPress might serve you well. The worst thing is probably the fact that the themes are limited. However, again, with some basic coding and a few Photoshop skills you can do a lot. I would say that Blogger is a really easy platform to learn, and doesn't cost the beginning blogger anything other than some time. I use blogger because I was already using gmail, and liked that it was connected. It is pretty easy to use and I've been using it for at least 6 years now. I love using blogger because it is pretty easy to set up. Also, if you want your site to look more advanced, its really not that hard to do either. You can make it look as great as other sites, but its free and its just so easy to use. I can't highlight. I didn't really like having .blogspot at the end of my blog name, but now you can purchase a google domain for about $12, and so now that is fixed. Gosh, I haven't used another blogging platform in almost 4-5 years. I used WordPress (the free version) years ago for a college project. But I just stuck with blogger because I has already learned how to use it. Now that I've connected my own domain to my blogger, I probably won't be changing anytime soon. Blogger is by far the Best FREE and open source Blogging Tool out there. So many successful bloggers are using it for year and years to count and also aiming to keep using it ahead of time. It's up to you which tool you feel easy and comfortable in, how much you can invest, how well you know the design language, and how big you want your business to make impact on. Well, if you want to go bigger with your blogging and scale your whole business over it. WordPress or Squarespace might come as a solution for you. What blogging platform are you using or have used? What's your thoughts about Blogger? Do you have anything else to add up on what I wrote? Leave a comment and let me know.